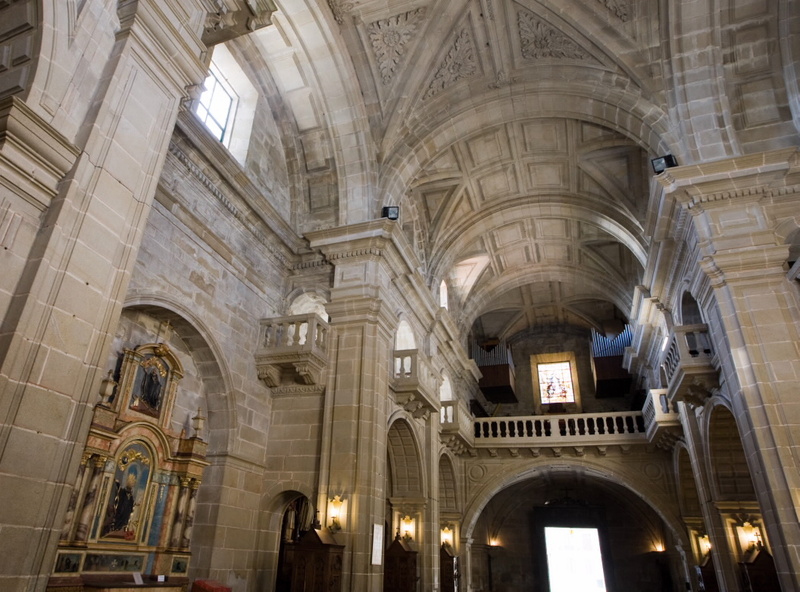 The church especially stands out in the Mercedarian monastery of San Juan de Poio, built in the 17th century, and which reflects the taste for combining Classicist and Baroque styles. 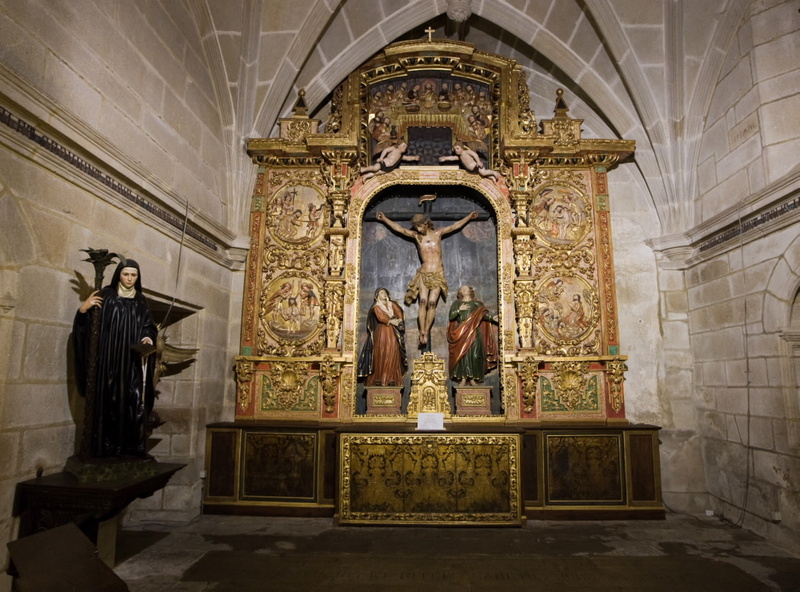 Inside, there is a splendid retable from the 18th century, in Churrigueresque style, and the tomb of St. Trahamunda is in the left-hand aisle (much venerated in the district). 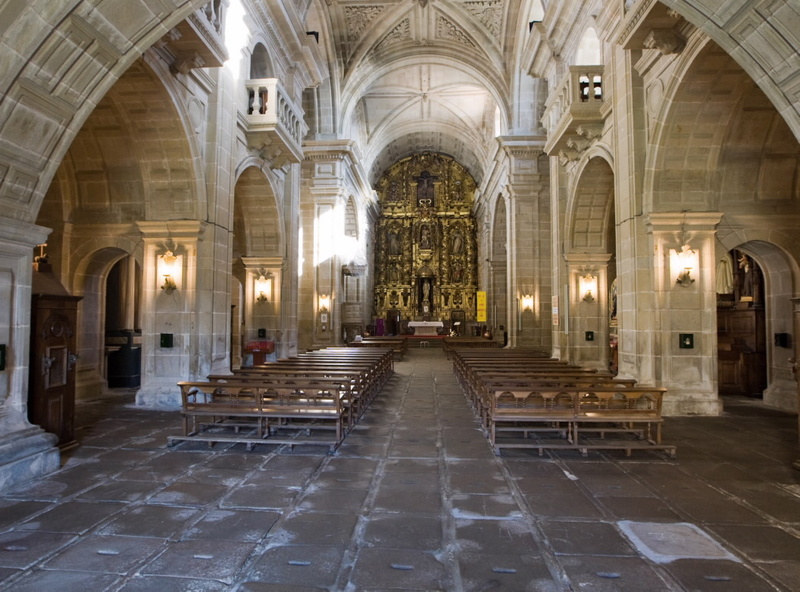 The procession cloister (16th century) is also noteworthy, with a Baroque fountain and an original stairway. 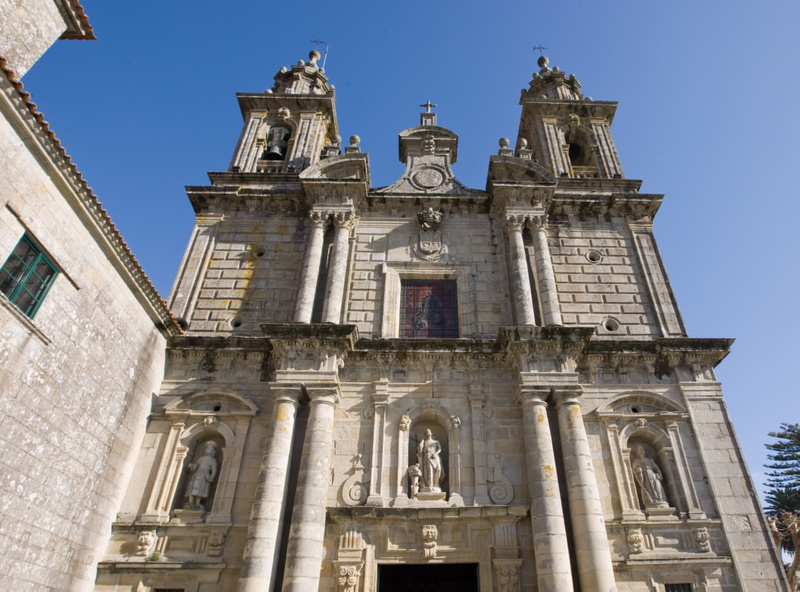 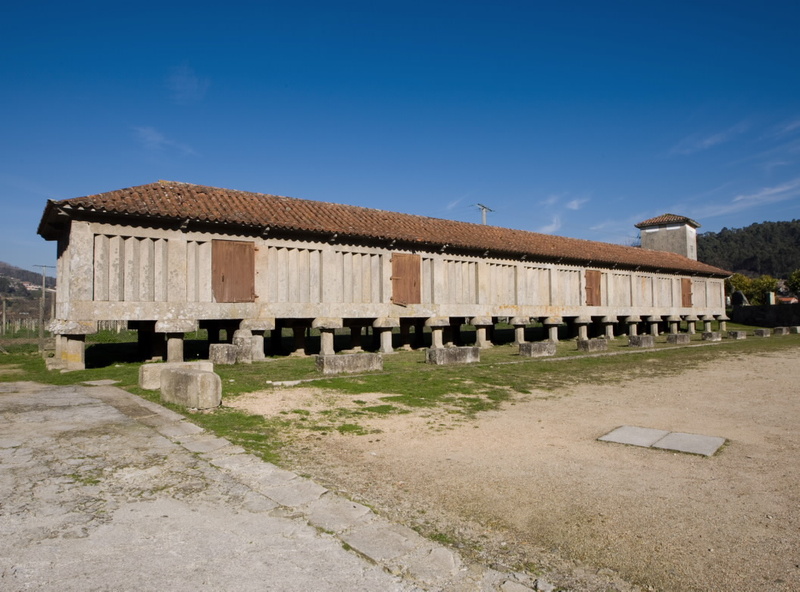 Also worth mentioning are the library, the museum of mosaics, the "Escola de Canteiros" or the centre for the Summer University courses. 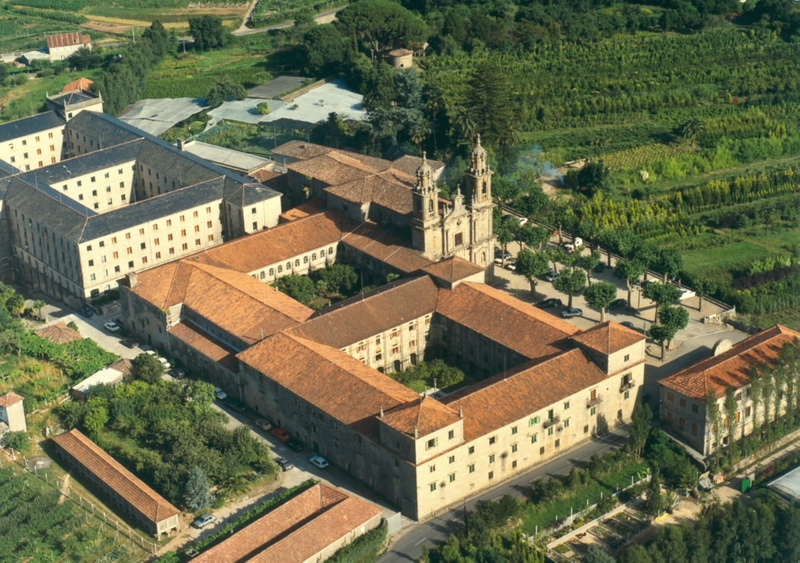 The monastery is currently devoted to touyrist accommodation, governed by the nuns. 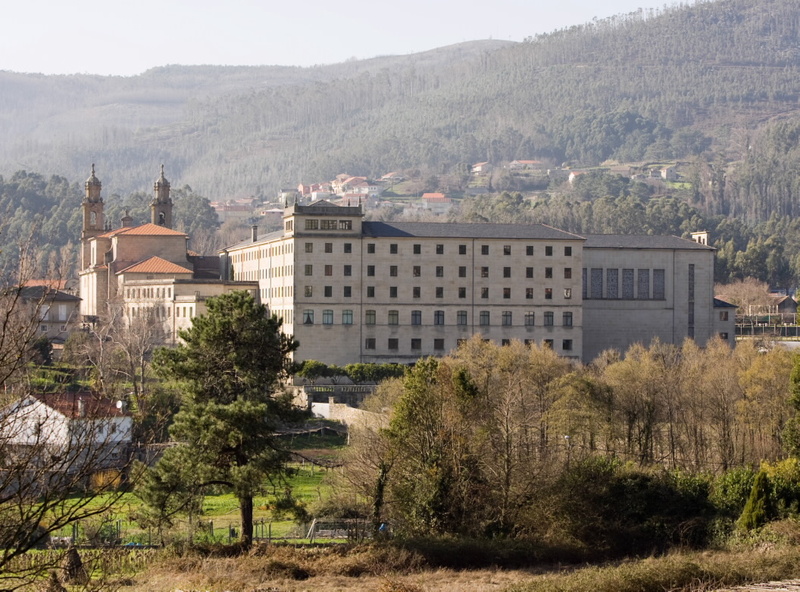 Leaving the city of Pontevedra towards Sanxenxo, via the C-550 road, after 2 Km. 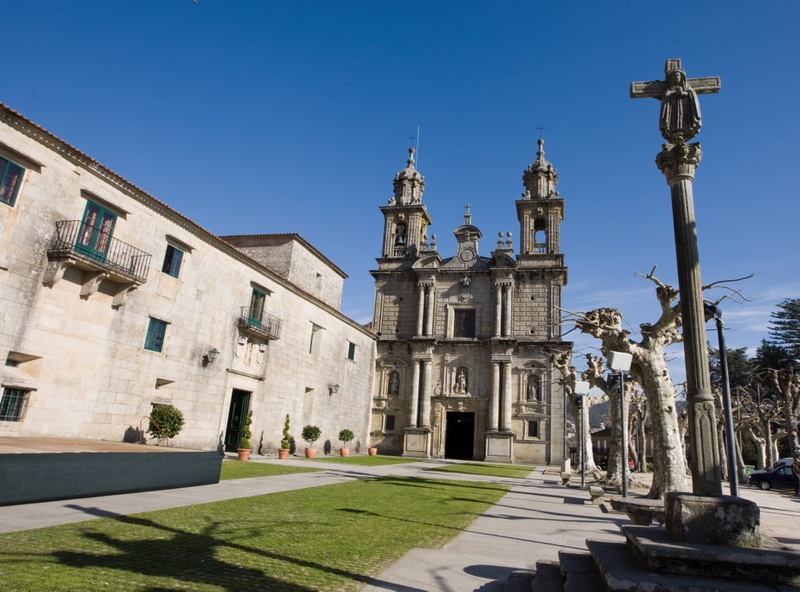 We take a turn-off to the right that leads directly to the Monasterio, located about 500 metres from the junction.